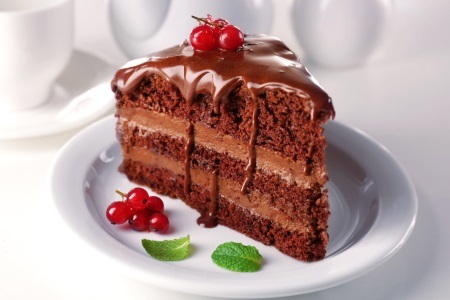 When someone says “you can’t have your cake and eat it too,” that usually means there are two desirable options that a person wants, but it’s impossible for them to have both because these options conflict with each other, so they can only pick one. Example: Josh was offered a promotion at his job, but it would require him to change his schedule so that he could work on the weekends. However, he liked spending the weekends hanging out with his friends. So what would he do? If I had to make a choice of either eating this cake or having it, I definitely would go with eat. According to this proverb, you can’t have your cake and eat it too. When people hear this, they sometimes get confused and ask: “Wait, why can’t I do both?” The answer is because if you eat the cake, then you would no longer have it afterwards. Indeed, you can’t have something when it’s not there anymore! Mike realized he spent most of his day sitting behind a desk. In order to become more active, he wanted to buy a rowing machine for his home, one that was very high quality and also cheap as dirt. But where would he find such a deal? This means something is easy to do. This is another expression means something is simple to do. Hey, you just read about this one! It’s meaning is up at the top! This refers to something that’s selling really fast. If someone ‘draws a blank,’ what does that mean? Learn more about that, plus see where this common saying comes from.